So you may have noticed I currently have an addiction with Asos Curve. Last week I picked up the following four items. I'll start off by quickly writing about the Jeans. New Look Inspire (even though I have worked for New Look for 3 years in the past and am now on a placement with the team) has always been a tricky plus size range for me. It doesn't tend to always be consistent with what it produces and I have always had problems with it's sizing. The jeans were tight and uncomfortable in the size I buy all my trousers in. This reaction has come from a couple of people I know who have purchased these too. I did send back to exchange to see if sizing up helped but unfortunately they are now sold out. Now on to what I kept. Both the peg leg trousers were something I wasn't expecting, and I did feel a little cheated when I opened them. A thin jersey, the trousers have no structure and to be perfectly honest look ten times better online than in real life. They are on the other hand the most comfiest things ever and all week I have been wearing them. 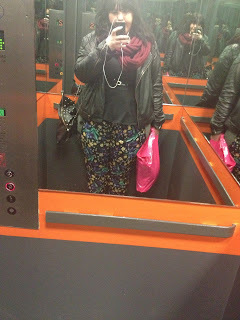 The floral trousers I teamed with a black peplum top. This made the outfit less casual and suitable for works dress code. 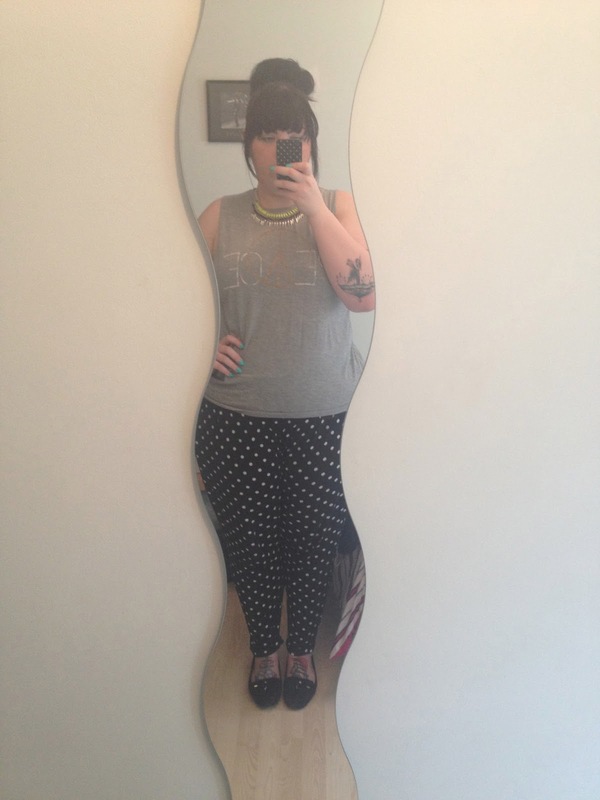 The polka dot trousers I recently teamed up with a grey printed top. 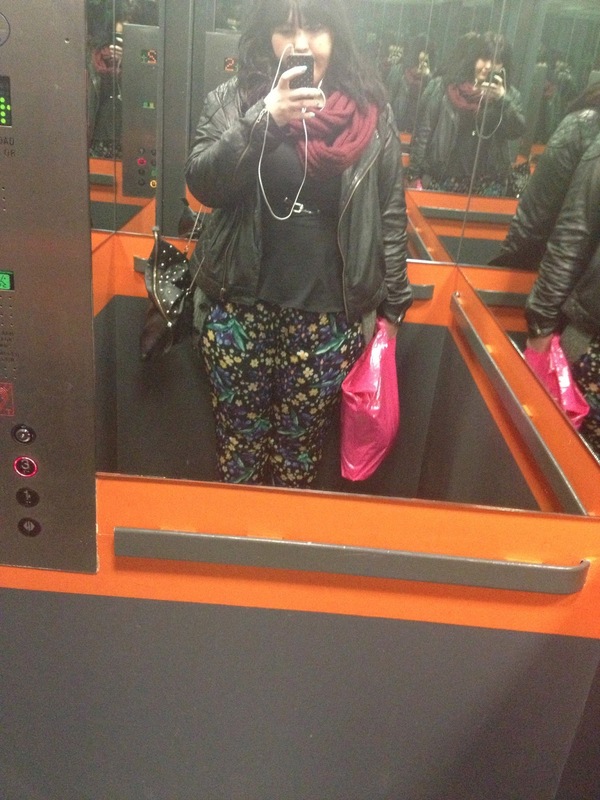 This kept the outfit casual but not too casual so I felt it looked like I was walking about in pj bottoms. I will report on the cold shoulder top but I haven't wore it yet due to the horrendously cold weather. On to a quick update whilst catching up on Beyonce's Life is but a dream documentary. My friend sent through the news she's playing a festival at Twickenham Stadium in June. The festival is a charitable concert created by fashion designers Gucci, who will try to directly help disadvantaged women, using the proceeds from The Sound of Change Tickets sales. I can't express how excited I am by the line up, which obviously includes the Queen that is BEYONCE. SO I can not wait. Great post!I'm obsessed with Asos Curve as well and I wished I had ordered the polka dot trousers before they sold out. I want to try the Inspire jeans but I'm afraid of ordering jeans online.